From the company who brought you The Brave Response Holster comes this new iteration specifically designed for those who prefer to carry in the appendix position. Fully machine washable deep concealment holster with mag pouch that will work with any clothing or outfit. Learn more below! Introducing the Brave Response Appendix Holster. This is our answer to everything that gets under our skin about concealed Carry these days. If you have the obligatory box of holsters and nothing really satisfies, this is for you. 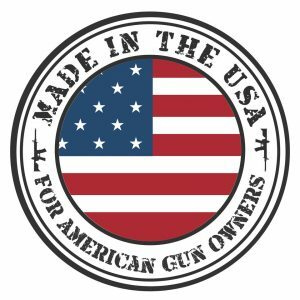 That include ALL Semi-Automatic handguns from Glock, Smith and Wesson, Springfield, Sig Sauer, Browning, Desert Eagle, Kahr, Beretta, Ruger, Walther, FN-Herstal, Colt, Kimber, Heckler and Koch (H&K), C-Z, Steyr, Taurus, and 1911 style handguns. If you don't see your gun manufacturer listed here, but it is a semi-automatic it WILL FIT. The Brave Response patent pending pocket design has been carefully developed and tested to be able to accommodate all semi automatic handguns. So whether you are a Sig or a Glock or a Springfield or a Smith and Wesson, or any brand of 1911 or any of the other brands of handgun out there… (seriously, we took it to cabelas, and Scheels and we made sure we put EVERY SINGLE semi auto in it before we did anything else) Your handgun will fit perfectly in this holster. Our founders carry the Glock 27 double stack, Glock 42 single stack, Kimber 1911, Walther P99, FNX Tactical 45, SIG P226 Blackwater Edition, and H&K P30 all interchangeably in the same holster. We have found many Revolvers to be able to fit as well, (however, we have found that the large frame revolvers like the K frames and the Pythons do not fit) we will be developing a more extensive list of revolvers that do and don’t fit here in the coming months. The Brave Response Appendix Holster is self contained and you will find it is comfortably worn with gym shorts, jeans, slacks, a kilt, whatever…. The founder wears just his holster and skivvies in his waders fly fishing in the river. It is truly here to cater to your specific brand of crazy as it does his. NO KYDEX, your body flexes and bends and sweats and moves. Kydex does not. Leather Does not. CCW holsters are supposed to be comfortable. How is this even possible with Kydex and leather? The answer is, it’s not… Kydex and leather are for OWB holsters. 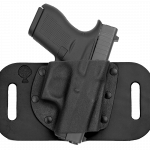 The Brave Response Appendix Holster is designed to fit close to the body and leave as little an impression as possible. We built this holster to provide a comfort barrier between you and the gun, while making sure not to add bulk. Our beta testers have been carrying full size handguns and extra mags with no printing and maximal comfort so it can be worn while out and about or in and relaxing. We really think you will be surprised at how it feels as it is our goal to encourage law abiding citizens to carry more often as we never know when the wolf will be at the door. Tough but tender, The Brave Response Appendix Holster has been designed using the highest quality “Sharkskin” Canvas at its core for longevity, breathability, comfort, and sturdiness. We use the highest quality “No Snag” Industrial Velcro that ensures you are not ruining your clothes but that the holster is securely held around your waist. 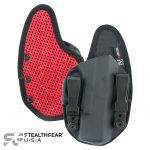 The elastic waistband has been chosen to further the lightweight feel of the holster but with the strength to last you. 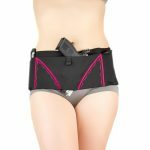 The Brave Response Appendix Holster ships with an elastic waistband capable of fitting comfortably and securely on anyone with a 18″ – 48″ waist. This can be tucked if the holster is to be regularly worn by more than one person or the extra belt material can be removed and the edge of the belt singed with a lighter or match. 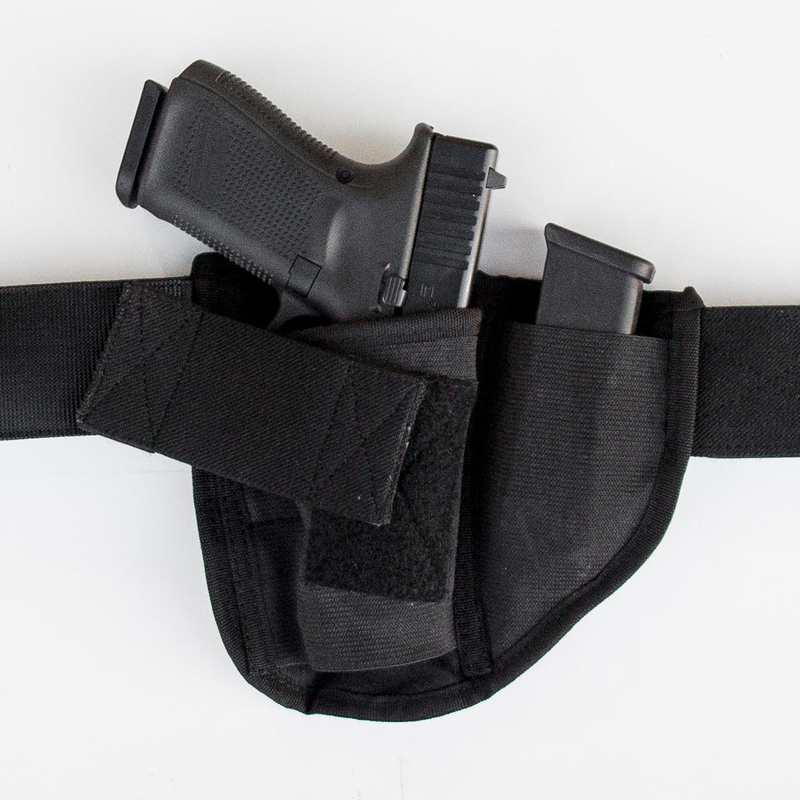 The Brave Response Appendix Holster has a built in spare magazine pouch in addition to the one in the gun itself. You can also use the mag pocket for most small flashlights and pocket knives Because the Brave Response Appendix Holster can carry such a wide variety of handguns, you can get rid of the box of holsters and have one holster that is right for you and all your handguns. NO LEATHER, Leather does not breathe now, it didn’t breathe when it was skin. Skin is designed for keeping liquids and other stuff inside the body. Our holster is designed to breathe. That way you can breathe, your gun can breathe, everyone can breathe, and that makes life comfortable. No more taking off your sopping wet leather and metal and hard plastic holster. 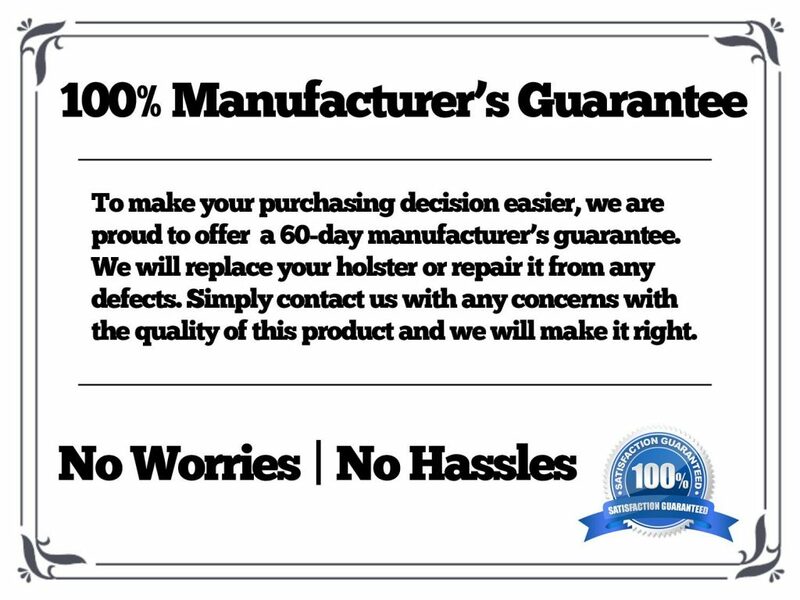 You’ll find this holster keeps you much cooler as a result of less weight, less bulk and the most durable breatheable fabrics on the planet. We are a defensive training company first and foremost. Our students include private citizens, Military, law enforcement, and private armed security forces. 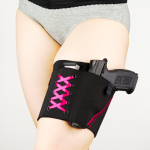 This holster was built to enable you to protect your life. In a defensive situation you will lose the ability to perform fine motor skills so building a holster that is safe and comfortable for the 99.9999% of the time that you carry and effective and ready for that 1 in 300,000 chance of being a victim of violent crime. The patent pending pocket on the holster positions your firearm in a forward cant position to replicate your outside the waistband training holster that you wear to the range. This will aid you in a defensive situation as most of our students have never drawn from concealed until they are on the range with us. The Brave Response Appendix Holster will imitate the feel of your OWB training holster and enable you to have a faster response to an imminent threat. The forward cant also facilitates a clean and smooth draw with no hang ups or snags. Retention is removable at your discretion. The retention has been designed to instantly break away as you slide into shooters grip before the draw. The retention is hidden behind the gun in the perfect place for you to disengage it, but will maximize your ability to retain the weapon on your hip. Mine holster was delivered to my office Friday and I put it on as soon as I got to work. It’s a perfect fit for my Springfield Range Officer Champion. I barely knew it was there. So glad I ordered one quickly and got the mag wallet too. Never tried appendix carry before so I figured I’d give it a try seeing as how hyped up these holsters are in the podcast. First let me say I learned real quick that appendix carry is not for me. No matter which gun I tried, i just didn’t like it. Even the holster by itself was uncomfortable. So that’s about 90% of the reason I returned it. Second, and This is the reason I won’t be buying the normal brave response holster, is it’s pretty cheaply made. It’s a pretty basic holster with a pretty basic idea. It didn’t fit my guns as well as I’d like (although most universal holsters don’t), and I question the longevity of the elastic over time. If this were a $20 holster I wouldn’t have been as surprised when I opened the box, but for $70 I expect a little more from my holster. For the price you pay you can get a gun specific kydex holster you’ll be a lot happier with. Love mine but don’t use it as an appendix carry. My findings with this holster. 1.The holster snags on my M&P 2.0 compact when I draw the firearm from holster and pulls holster up and mostly out of the pants. Doesn’t stop the draw, but is very annoying. 2. Hook part of velcro comes all the way to the edge of the waistband and causes pain were it rubs on skin. If the waistband was 1/8 inch wider on each side of the velcro hook material this would not be a problem. 3. I cannot find any way in which to wear this holster comfortably. My body type is likely the cause of this. 4. I do not trust this holster to properly secure the firearm. A belt or tight pants over the holster is required for any retention. Overall I think this holster is everything you’ve likely been warned not to buy. I would rank this holster only slightly better than the typical nylon holster. The one advantage this holster has over a nylon holster is you wear it concealed, so it won’t mark you as a amature like the typical nylon OWB holster does. Brian, thanks for sharing your honest review. I hope you will consider returning the product for a refund! I like the narrow elastic stretch belt. I like the small holstering area. I am a new owner and currently position the holster on my side (wearing winter clothes). I’m holstering a taurus g2. It tends to snag at the front sight area during a slow draw but exits pretty smoothly during a fast draw. There is little noise during a fast draw. The g2 fits snuggly. Another reviewer mentiioned additional material around the belt edge. I mentioned an additional velcro length. I dont think there is another holster comparable. I am keeping mine. I love this holster. I have a Shield 9mm with a Laser Max laser and it wouldn’t fit in the holster. I took it to a tailor in town and had it modified. Perfect fit. I bought another one for my shield 45. I wear it every day. I have another band style holster and the breathable material on the Brave Response is the absolute best. Never sweaty. I wear it all day and sometimes forget it’s even on. I am a small guy, 5’6″, 160 lbs. I have to wear tucked every day at the office. Every IWB holster I tried poked out of my pants. Belly bands work, but the 3 I tried all end up sweaty and stinky at the end of the day. The Brave Response appendix holster is perfect for me. It’s not hot and doesn’t print. I wore it to the range, drew and started firing. No problem As a lefty, I typically wear it at 10:30 or 11. However it is perfect at 9 o’clock on my hip. I know it’s there, but it doesn’t stop me from working or my toddler from riding my back around the house. No worries. So glad I found this holster. I carry a Sig p938 every day in my Brave Response appendix holster. My only regret is that I didn’t get an extra right handed one for long car trips. I liked this a lot. I have the original brave response holster which found very comfortable. I was using it as appendix carry holster even though it was canted. This new holster was what I wanted. I have a number of different gun types and sizes and this holster accommodates them all. The holster is ideal for sweat pants and or gym shorts. No belt needed. Also has a place for extra mag. Very happy. As a new COW licensee I purchased a low cost appendix holster. Rookie mistake, it was difficult to conceal, dug into my groin and stomach when I sat down. The result was to not wear my weapon everyday. That all changed when I discovered the “Brave Response” holster. Now I can wear my go to clothing, a tight tee tucked in and shorts. Even my family didn’t know I was carrying. My weapon sits right next to my, uh privates. It doesn’t show or hinder any movements. It has even formed itself to the shape of my everyday carry. Holster fits M&P Shield nice so far no drawbacks. Extra mag pouch is great. Have been using the BraveResponse full length holster for about two years but usually only with one mag. When I sat (holster at 3 o’clock) the crease and bend would usually discharge the magazine into my shirt. Came up with a Velcro band fix that seems to be working. Then the Appendix carry version came out and could not wait to try it. Retains the magazine much better and I am enjoying the smaller size for my subcompact carry. The shape and size of the holster is much improved. Two issues: 1) I like having both attachment points anchored on the straps and the second one BARELY reaches the end attachment strip. With a large gap between the two strips it requires a tight pull to get it to reach. It will probably be fine to just trim it and use the first strip but I like both. 2) I have snag issues on the front sight that I do not/have not had with the 3mag holster. It has really slowed down my draw time. I will practice more with it and hope it improves. I still have the original if it does not. Thanks for your product. I can wear it all day without having to unholster for those “daily” necessity timeouts. I bought this holster for my wife who is left handed. She belongs to the Well armed woman group and had looked at and tried out several guns (and holsters) before I bought her a Sig P365. She has her CCW license and wanted a comfortable holster. The first day she wore it with her family not one of her brothers and sisters, or her mother could believe she had a gun with her the whole day! She tried an expensive kids holster and I could spot it every time. Not this one. She likes to move it around but usually carries appendix. She wears this all day and at home. She loves it. No printing, easy draw, fits her 9mm, 12+1, Sig micro P365 perfectly. I couldn’t find any other holster that fit so well. I had a question about the retention strap and the guy, (Joe) I think, answered it over the phone without being able to see what I was talking about. Great company, great holster. I just wish I had bought this first. Thanks again guys. Terry. Kydex not kids! Auto correct. I bought the brave response appendix holster and I love it. I’m a size 32 waist and it works perfect for me. I don’t appendix carry it though. I carry on the small of my back, but nevertheless this is the holster for me. I absolutely love it. Very comfortable and it holds all my glocks just fine. Thank you for the Brave Response appendix carry holster. I had previously purchased the original Brave Response and will continue to use it but I believe the appendix carry holster will be the one I will be using the most. Excellent concealment even when shirt is tucked in and comfortable to wear with my Glock 43 with extended magazine. No problem issues identified so far. I am extremely happy with my Brave Response Appendix holster! It is very comfortable and totally conceals my Springfield XDE. It’s getting very warm where I live and I love being able to carry my pistol wearing whatever shorts I want including gym shorts. I’m so glad I gave it a try and I highly recommend it to anyone who might be on the fence about getting one. Kydex holsters have better retention for sure but they just aren’t comfortable. I can wear the Brave Response all day without a problem. The search is over, I’ve found my new go to holster!! I am very happy with my brave response holster. I carry Glock 43 and Its hiden very nicely no print at all. I use it appendix but it can be used in any position. Very comfortable wearing running shorts or at home in sweat pants (no belt needed). I have other holster IWB and OWB that I like but I always find myself grabbing the brave response….. very happy with this purchase. I now have the Brave Response Appendix, and I am loving it!….I would recommend this holster to any and everyone. I will be doing a review on my channel in the next couple of weeks…I wanted to work it into my daily life before I put my opinion out. Very comfortable fit, but does not hold my M&P as securely as I would like. It might work if I carry further down inside the waist band. The elastic and the shape of the mag holder cause the mag to push back up out. I will still need a separate mag holder. Update: I wore it while pushing a stroller in a 5k. I had a 380 with spare magazine. No one knew, and I never worried about dropping my weapon. It really didn’t get too hot either . It is an essential component of my EDC. This holster is very comfortable and my Sig P238 fits perfectly in it. Because of the comfort, I now wear my weapon more often. I’m very pleased with it. I have several CC holsters and after wearing the Brave Response I have a bunch of holsters that will be for sale. This Holster is what I call a “Do the Job Right” holster. Every Day Concealed Carry requires Security, Concealment, Quick Accessibility, Durability, and Comfort for the long day. The Brave Response in my opinion performs very well in all categories. My CC pistol is a 9mm Shield and I carry 3 additional magazines that the Brave Response Rig handles very well and extremely comfortable. My personal choice for position is OWB, Appendix, just to right of center. (I personally don’t like IWB but this rig would be ideal for IWB as well ). I wear a regular shirt, any kind of shirt, for concealment. Works great! The Brave Response Rig is so comfortable, if your not careful, you will walk out of the house and forget you have it on, then have to go back and get a shirt. That is the Truth! I have done that very thing. I would guess that the designer of the Brave Response was an EDCC person looking to get seriously TRUTHFUL about EDCC comfort and function. GREAT HOLSTER! I have had my brave response holster for about a month now and I am very happy with it. I carry a Glock 43 and have absolutely no printing issues. I like the narrow waist band, but as mentioned by others, I wish that the band was 1/8″ wider so the velcro hook material wouldn’t agitate my skin. I wore it for 11 hours driving to visit family in Texas and the pistol felt comfortable with no issues in the appendix carry location. The only issue I had was the velcro irritating my kidney area where it rubbed my skin. I wore a undershirt on the trip back and had no issues at all. I loved that when I made rest stops and had to utilize the facilities, I could just lift it up, complete my business and reset it, with no one the wiser. I wear it around the house with shorts or sweat pants and it is extremely comfortable. I would highly recommend this for any CCWer. I thought about giving it only 4 stars because of the velcro issue, but it exceeds in to many other areas for me to do that. I have been carrying concealed for over 25 years now. Like most of us, I have a box of holsters that did not work for one reason or the other. The biggest reason was always the comfort. As an instructor, I would tell my students that they should carry every day. But, there were times I could not bring myself to lugging around a weapon in these painful and annoying holsters. A couple of years ago, I found the first Brave Response Holster and I don’t think I have been without my weapon since. There are days that I put the holster on in the morning and it doesn’t come off until I go to bed that night. No other holster I have tried has ever been that comfortable. Not even my duty gear. No matter the weather; no matter my clothing, no matter my activity; the Brave Response is my go-to CCW. My wife has even mentioned how much better she feels knowing that I am always packing protection for the family now. The Brave Response is not a traditional holster and there are small details I would change just for my liking, but the most important part of carrying concealed is carrying the weapon so when you need it, it is there. The Brave Response is that one holster over the years that have been comfortable enough to give me that. EXTREMELY comfortable to wear. The velcro strap to pull the gun in is an innovative way to reduce printing. The wide ‘retention strap’ provided is okay but I dont think it feels secure enough. I think they should have added a normal anchor strap like on the regular Brave Response holster. I bought Cord Lox velcro cable ties from Musicians Friend that are 3/4″ wide and 5″ long. I had a local shoe repair shop sew one end to the inside back of the holster; the other end flips over the gun and secures to the velcro on the front of the holster. I feel it’s more secure this way. They also make the ties in 1″ x 7″ strips. here is the link if you cant find similar ties locally.